I was chatting with Sylvia Earle yesterday, and no surprise that issues of marine ecology came up. 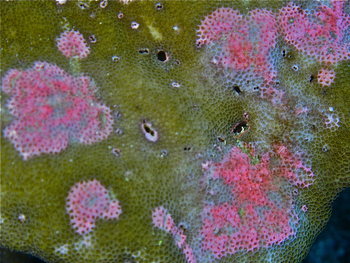 She mentioned seeing some very strange pink splotches on coral in Cocos last week and wondered if I had seen it elsewhere. I have not. I'm wondering if any of you have. Dr. Earle asks: "it would be useful to ask readers whether or not they have observed the phenomenon in Cocos or elsewhere and if so when, and any other information that could be provided -- depth, temperature, or whatever. 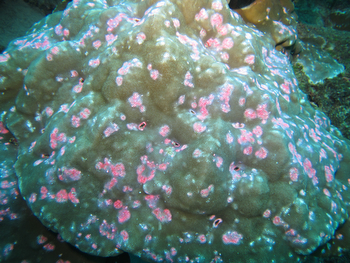 I observed small pink spots on some corals of this same species in Cocos in September, 2009, but none with such large areas affected." If anyone has seen please comment with detail and whether it has affected the coral long-term. Edited by StephenFrink, 12 December 2010 - 10:32 AM. Was in Philippines last week. 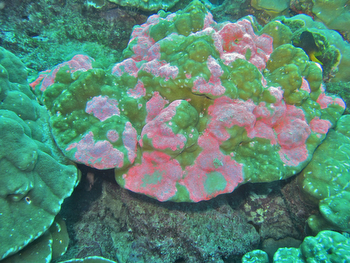 Did not see anything similar to that on the corals, although there were some bleached corals and anemones. Interests:Diving, diving.. and every so often diving and a little bit of photography thrown in. i work in dive in the water off north kenya, not seen anything like that anywhere near there... hope it helps..
Never seen anything like that ... it looks quite contagious and worry some ! Diving at Heron Island on great barrier reef in feb 2011. 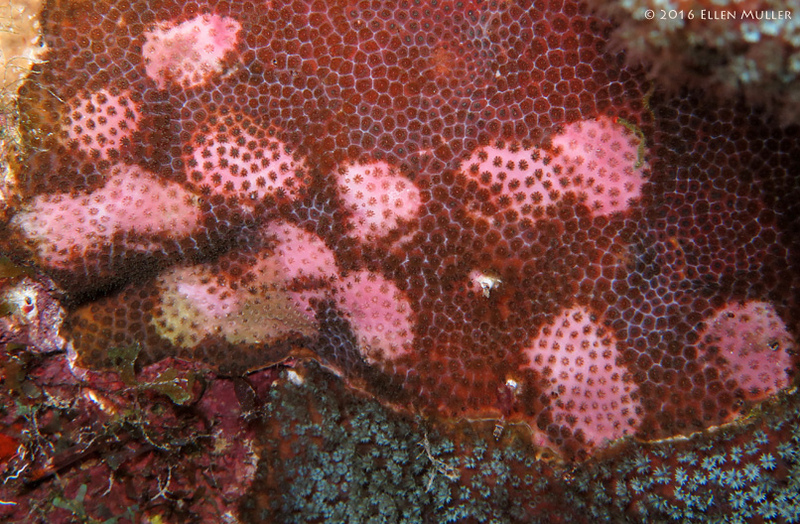 Plenty of porites corals there but no signs of pink bleaching. This might explain what is happening in your first photo. I came across something last night on a dive in Bonaire and remembered this thread. Similar to the last photo you posted. Did you ever get any more info? Bonaire, Caribbean Netherlands. June 30th 2016, 7:35 pm, Water Temp 81F , Depth 38 ft.